For the sake of your girls, stop saying ‘boys being boys’! The other day, my eldest son, age 7, asked me a quite interesting question: why is it that in all of his books the villains are always boys? I never thought about it but in reflection it seems quite true. In fact, a Nielsen research on the top 100 children books showed that in 2017 “male villains were eight times more likely to appear compared to female villains”. The same study shows another interesting fact: the lead characters are 50% more likely to be male. Basically, this shows that since the very early stage of education, kids are taught that boys get to do the cool things while girls are just their ‘sidekick’, but also that boys are more naturally naughty. I believe that put it in this way no parent would agree with either of the two statements, and yet as a mum of 3 boys I keep seeing these stereotypies being perpetuated by parents themselves. 1. They are simply not true. Boys can misbehave as much girls can. Yes, boys tend to be more active (when it’s winter, in the cold, when the sun is already down at 4pm, you can bet that you will find me shivering in the playground while my boys run around happily in their t-shirts! ); boys like playing soldiers, fighting, shooting and fencing, they like balls (although as a young girl I always liked playing football too, only I was not allowed to because I was a girl! ), but they also like reading, puzzles, treasure hunts and drawing. 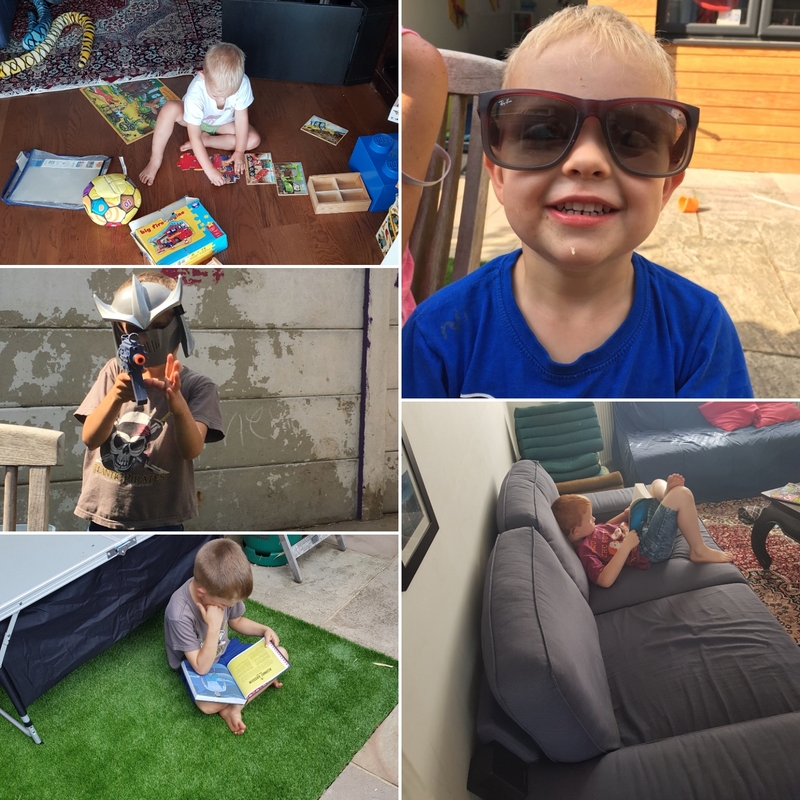 They like cuddles, they like listening to stories and they cry, although from very early years are told that ‘boys don’t cry’ (perfect, so they keep all the emotions inside so that they can then explode!). Girls like climbing, running, cycling just as much as boys. And I’m pretty certain I’ve seen as many girls throwing tantrums in the supermarket as boys. By saying ‘boys being boys’ every time a child misbehaves you basically forgive his behaviour on the simple basis that he is a boy. You are practically saying: “this is not a good behaviour but Hey! you are boy, what should we expect?” We should expect good behaviour! Whether a child is a boy or a girl, they should learn to be respectful, kind, generous and caring (amongst other key things). At my son’s birthday the other day, 2 children were very misbehaved. The fought, they annoyed other children, they bullied, they screamed… they almost ruined the party. These children will not be invited next year. I don’t care if they were boys, they should have behaved; if they can’t behave they don’t get to come to my house again. By saying ‘boys being boys’ you are also basically saying to your daughter: “sorry honey, that boy has been naughty, but you see that’s what boys do”. So, you are saying, there is nothing to be done, boys misbehave and that’s it. But it is not! As a mother of boys, as a feminist, I want the next generation to know that men and women are different but that they have the same rights. Men can and should be caring and respectful, if they are not women have all the rights to complain. Men and women must have the same opportunities and it’s only by teaching them from a young age that girls do cool things, that boys are not naughty by definition, that boys and girls are different but that’s good, that we can give a chance to the next generation to live in a much fairer world.